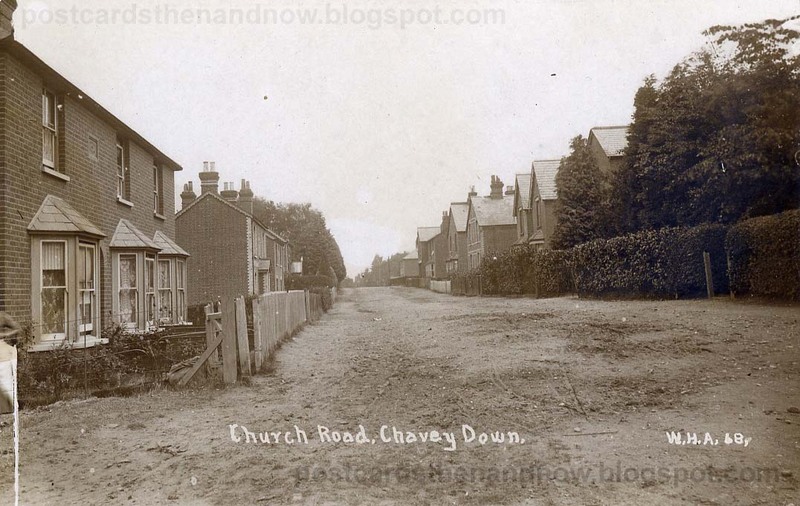 Chavey Down, Berkshire, Church Road c1912. Chavey Down is a hamlet in Berkshire, between Ascot and Bracknell. There is some information about Chavey Down on David Nash Ford's Royal Berkshire History Website. Postcard published by W. H. Applebee. Click to enlarge.